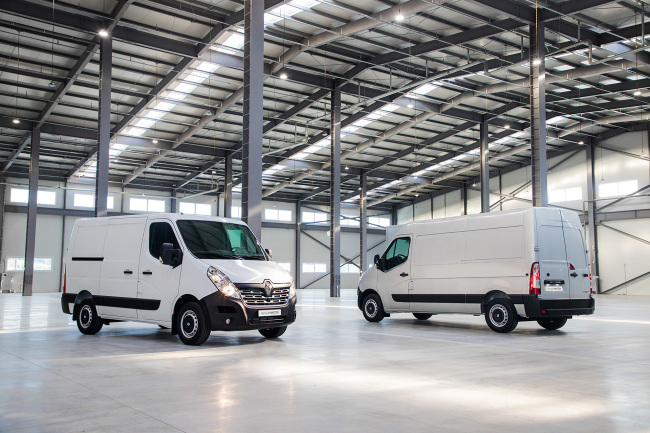 Renault Samsung Motors Corp., the South Korean unit of Renault SA, on Monday launched the Master van in Korea as part of its effort to diversify its lineup. The Renault Master comes with a three-year power train and auto components' warranty for 100,000 kilometers, the company said in a statement. The Master S version is priced at 29 million won ($26,000) and the Master L version carries a price tag of 31 million won, the statement said. The van is equipped with safety features such as a lane departure warning and hill start assist system, and its fuel efficiency ranges from 10.5 km per liter to 10.8 km/l for the different models, it said. From January to September, the carmaker sold 171,895 vehicles, down 16 percent from 204,840 a year earlier. Its current lineup includes the SM3 compact, the all-electric SM3 ZE sedan, the QM3 small SUV and the SM5, SM6 and SM7 sedans.